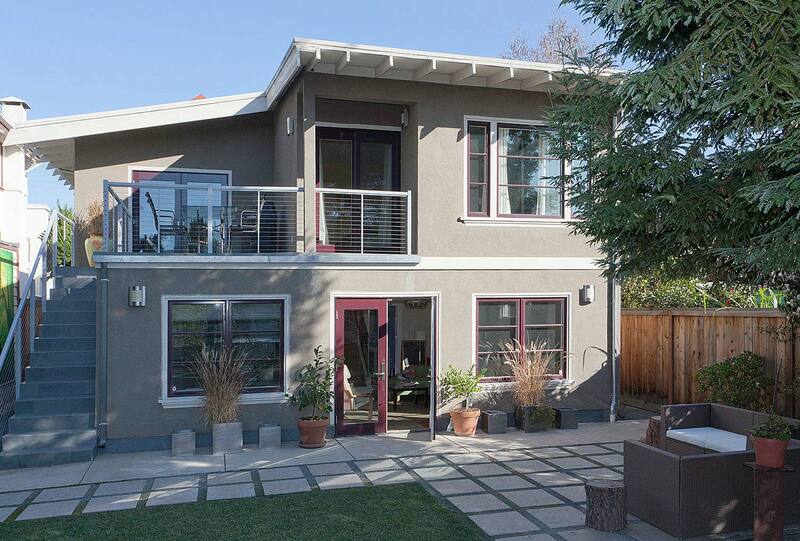 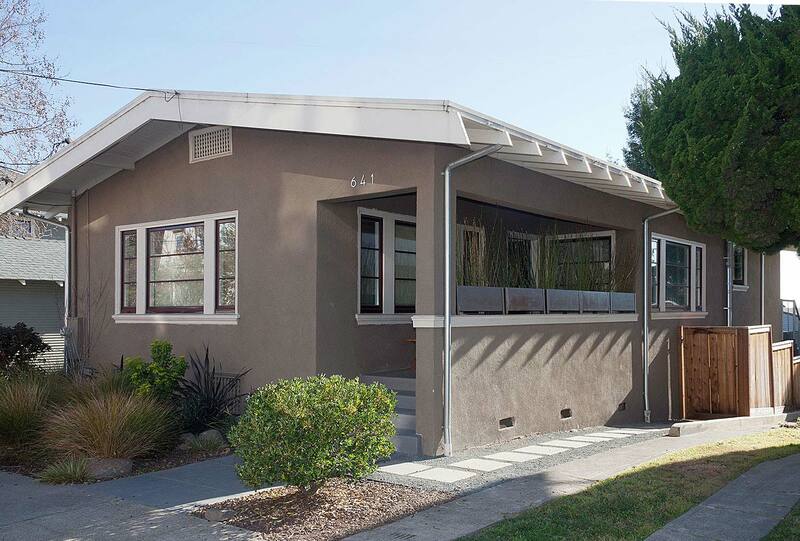 Expansive south-facing views and a sloping rear yard invited a lower-level addition below the main living area of this 1920’s bungalow — doubling the size of the home while maintaining a fairly “untouched” front façade. 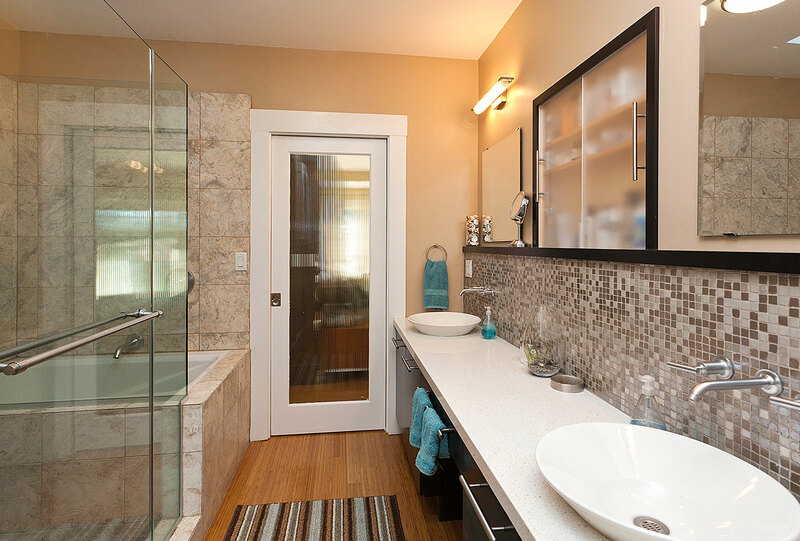 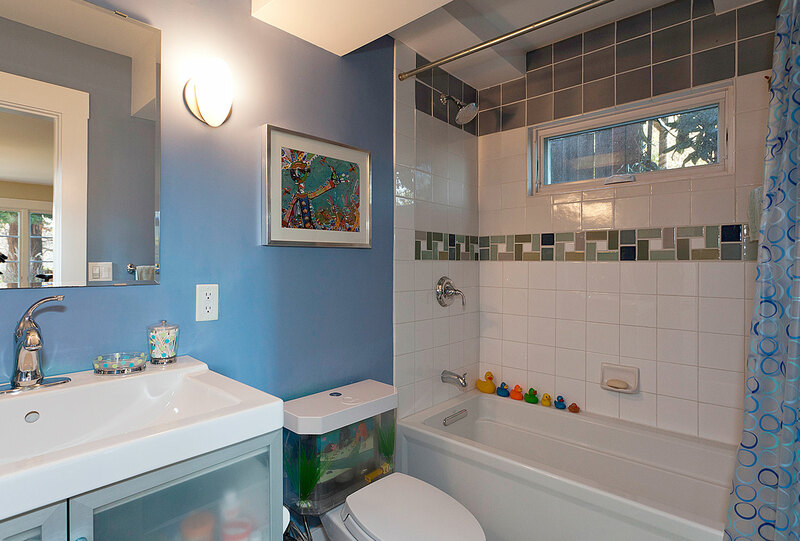 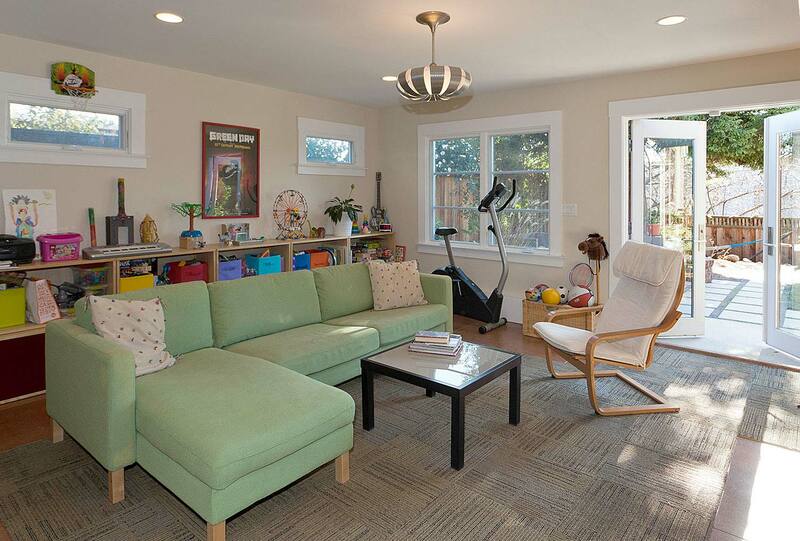 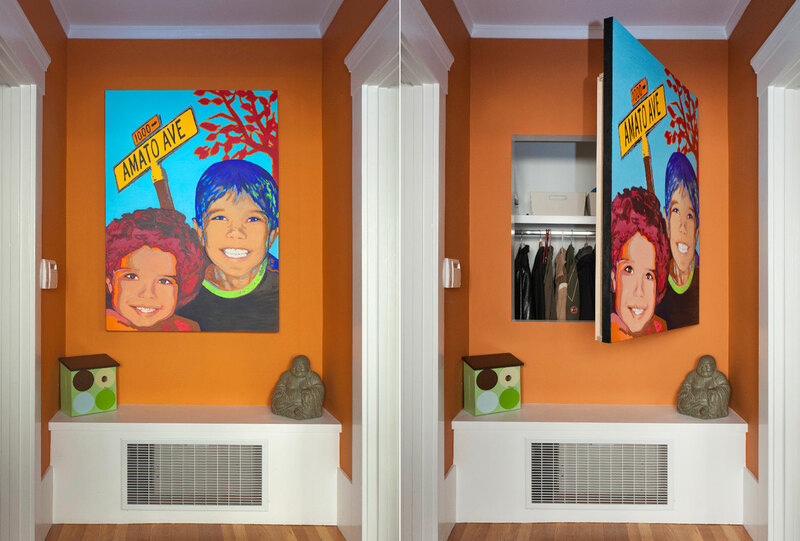 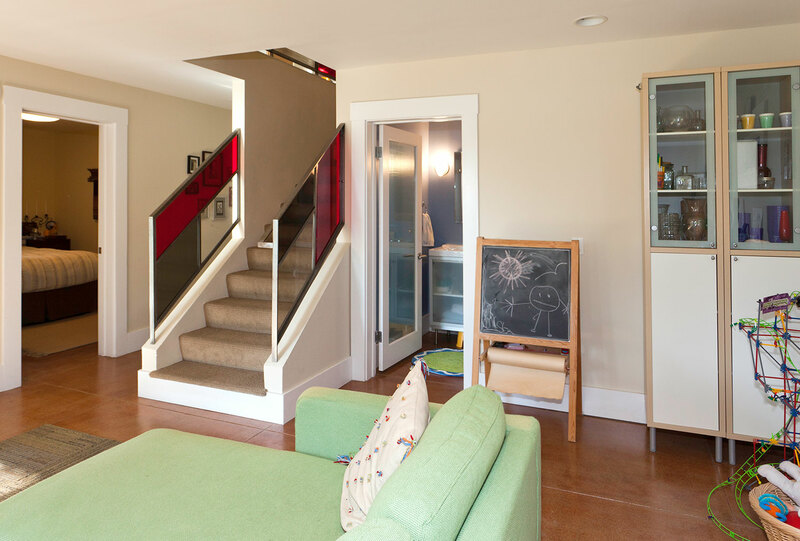 A creative solution to reducing the prominence of a coat closet in the entry was to hide it behind a custom painting. 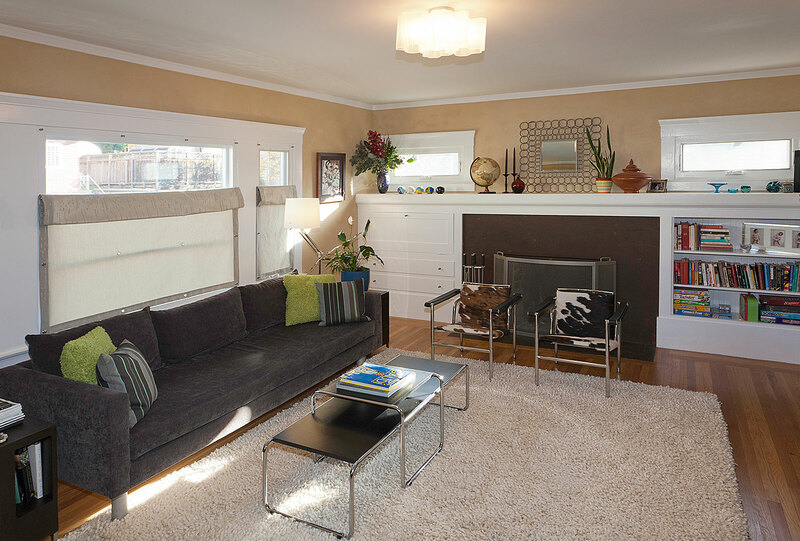 An attractive bench provides an aesthetic and functional solution to relocating the cold air return from the floor. 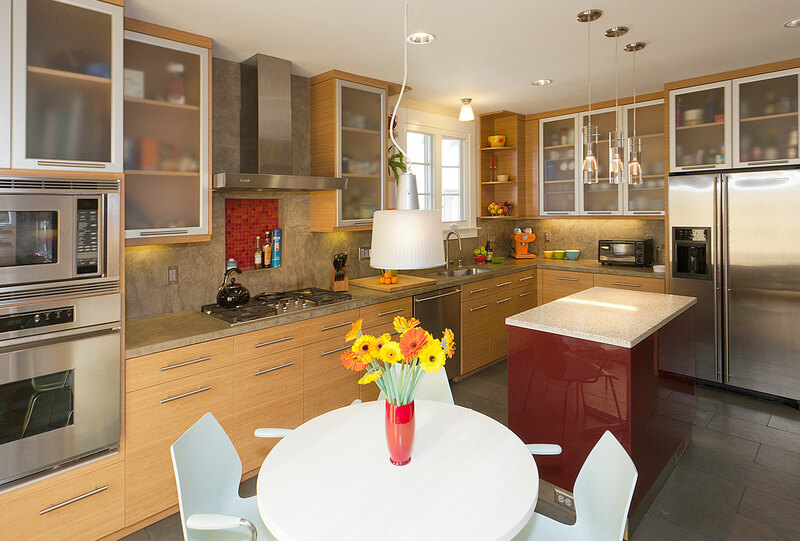 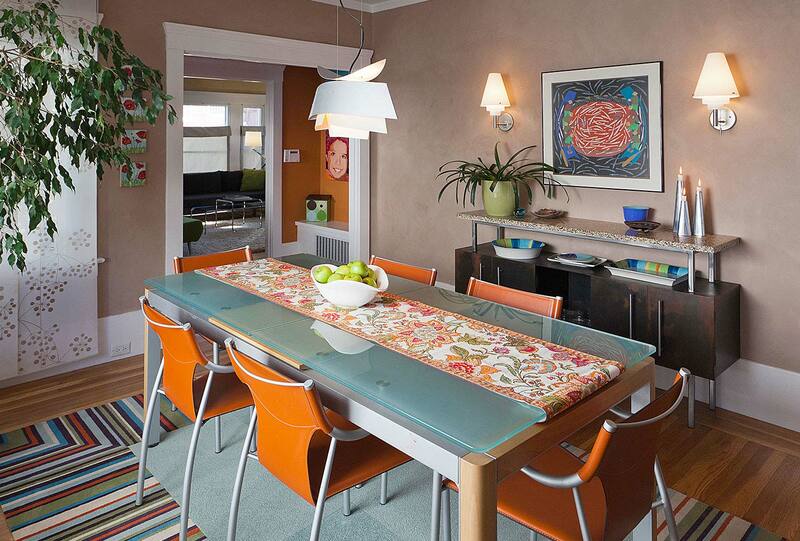 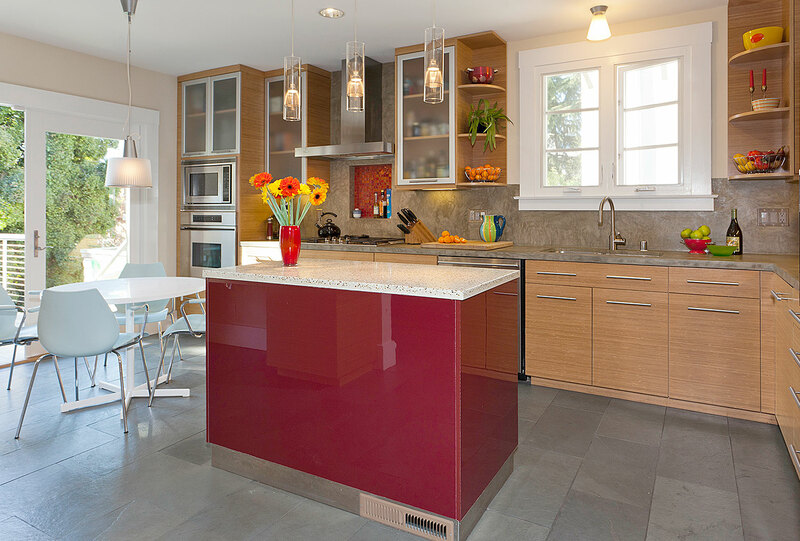 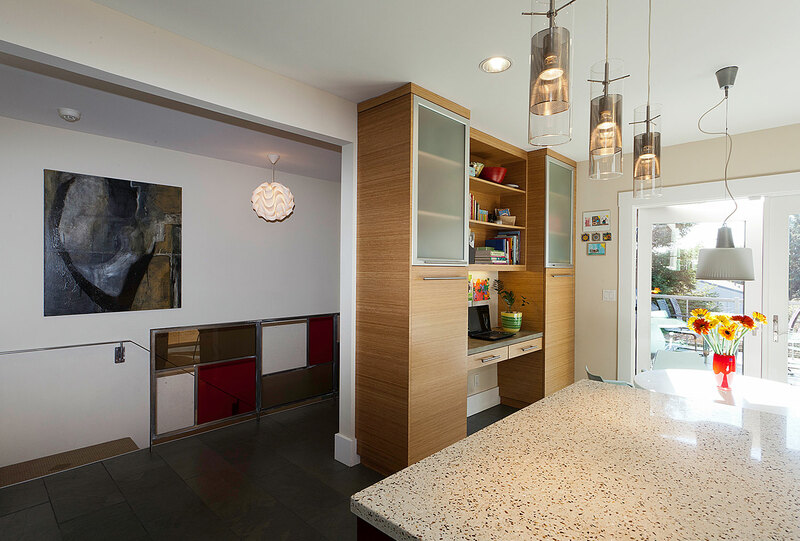 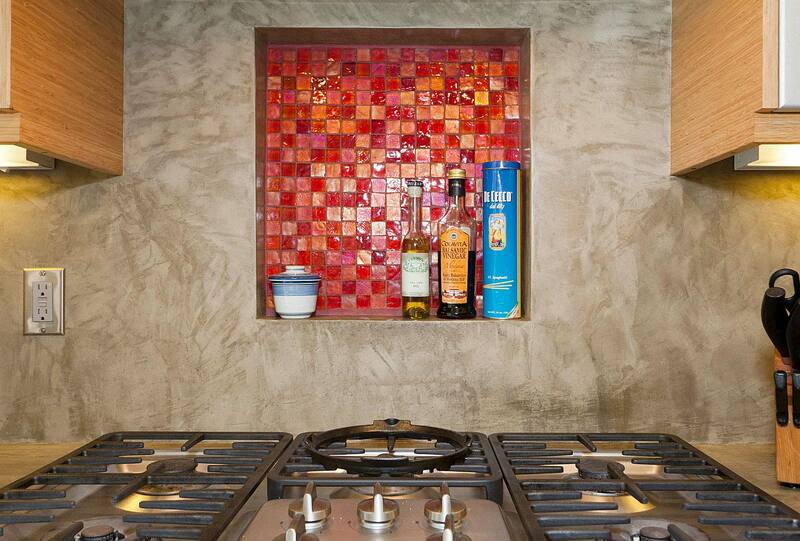 The kitchen is the “heart of the home,” a feeling represented by the red laminate island.